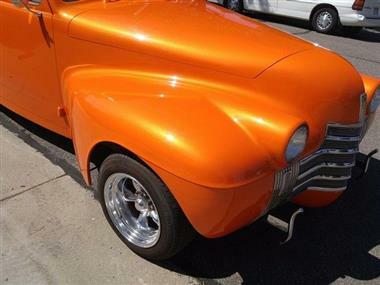 1940 Oldsmobile 2 Door Coupe-All Steel with Custom Weld and Molding (No Bondo! 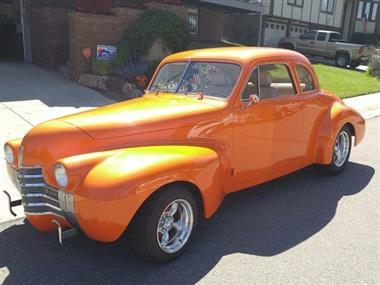 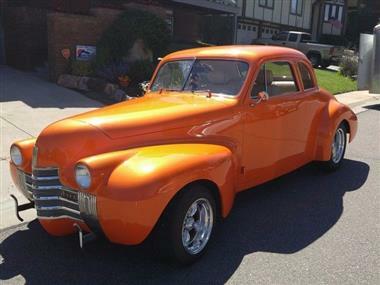 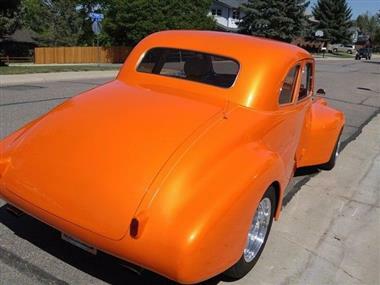 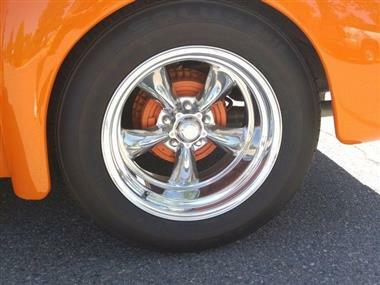 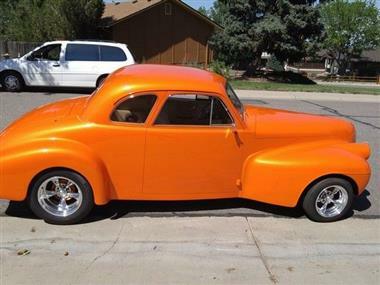 ), 350 Chevy W/ Elder Brock 4 Barrel Carburetor motor-12,000 miles and 350 Turbo Automatic 3 speed Transmission w/ Lokar Shifter, 373 Rear End w/ 8 Bolts, Exceptional Paint Job-Color is Lamborghini Bright Pearl Tangerine Orange, New Kumho Tires (255/60R/17� and 15�) and American Torque Strut Wheels (17� Back and 15� Front), Special Camaro Seats, Electric= Ignition, Pop Lock Doors, Custom Hood, Antenna and Power Windows, Chrome Tilt Steering Wheel, Leather Interior! 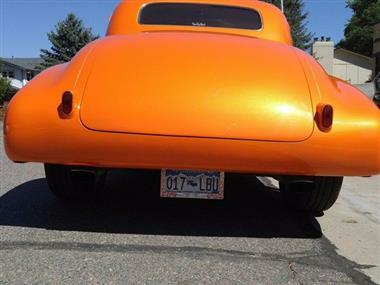 I�ve owned this car for the past 8 years. 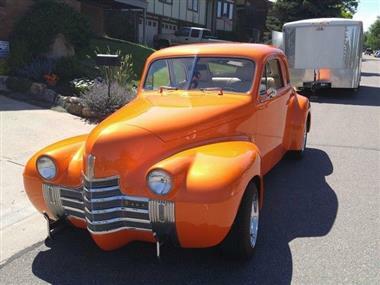 The car has always been garaged, comes with a clear Title.